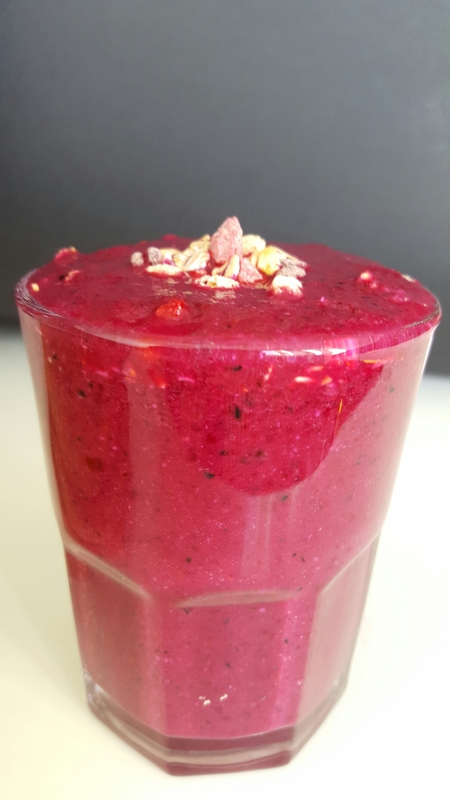 Beetroot smoothie – Eat, Click, Travel and Repeat! Beetroot smoothie. The actual color was magenta. My camera couldn’t even pick the right color. I put the glass in different places to get a good photograph. I was trying to find good light so that the magenta color could shine and pop out! I have developed a really liking towards smoothie these days. I feel healthy after drinking it hence the fascination. I generally drink these after a workout. Yes! After much reluctance, I have finally managed to excercise with some success. I don’t know how long will it continue. But, currently I am in a zone of healthy eating, clean eating and burning some reluctant fat off my body.